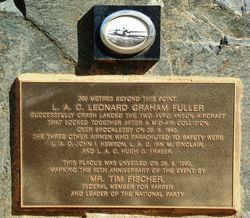 The monument commemorates 50th Anniversary of the Avro Anson Aircraft Collision. 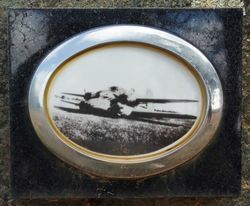 On 29 September 1940, a mid-air collision occured with two Avro Anson aircraft of No. 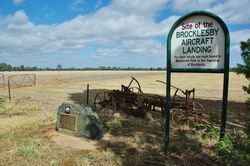 2 Service Flying Training School of the Royal Australian Air Force remained locked together after colliding, and then landed safely. The collision stopped the engines of the upper Anson, but those of the machine underneath continued to run, allowing the pair of aircraft to keep flying. Both navigators and the pilot of the lower Anson bailed out. The pilot of the upper Anson found that he was able to control the interlocked aircraft and made an emergency landing in a nearby paddock. All four crewmen survived the incident, and the upper Anson was repaired and returned to flight service. 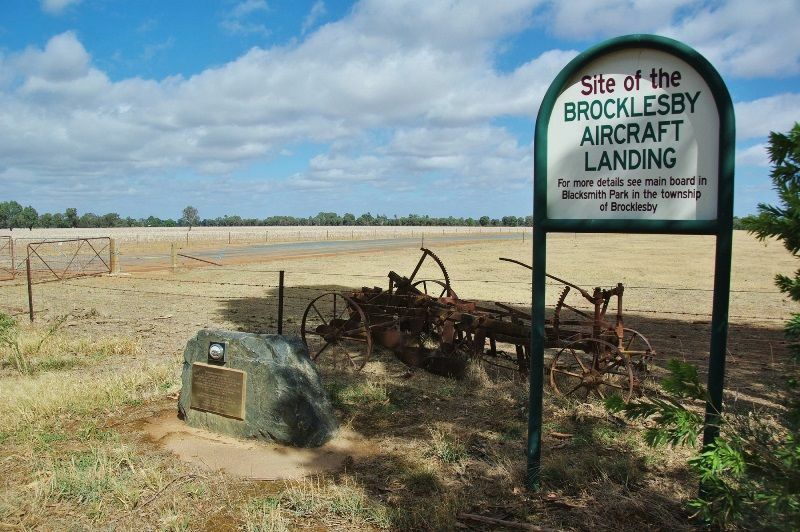 200 metres beyond this point, L. A. C. Leonard Graham Fuller successfully crash landed the two Avro Anson aircraft that locked together after a mid-air collision over Brocklesby on 29. 9. 1940. The tree other airmen who parachuted to safety were L. A. C. John I. Hewson, L. A. C. Ian M. Sinclair, and L. A. C. Hugh G. Fraser.